“Oberlin Town and College Founded 1833. The city was considered a safe place for escaped slaves and home to many ardent abolitionists and women’s rights pioneers. As the gay rights movement got underway in the early 1970s, Oberlin College was in the forefront. This nearly two-century tradition of supporting diversity continues today in the city and college, and, since 1993, at Kendal at Oberlin. Let’s take a look back in time at the community’s rich heritage and a glance at current life in this northeast Ohio city of 8,300. Between 1830 and 1860 about 50,000 slaves escaped through the Underground Railroad. Oberlin was Station 99 in this secret escape system. “Oberlin received attention nation-wide in 1858 and 1859 for its part in the Oberlin-Wellington Rescue. John Price had been living in Oberlin for almost two years after escaping from slavery. A U.S. Marshall with the slave catchers had captured John Price and taken him by buggy to Wellington to wait for the train to Columbus. The news of the capture spread rapidly in Oberlin and a crowd of hundreds, black and white, started on the road to Wellington. They were determined to keep John Price from being taken back to slavery. Fast forward 100 years to the Civil Rights movement. The Rev. Dr. Martin Luther King, Jr. gave several speeches in Oberlin, including the 1965 Commencement address. He urged continued commitment to justice given that they were graduates of a college that “has probably done more than any other [college] to support the struggle for racial justice." In 2015, First Lady Michelle Obama spoke at the commencement, again drawing attention to Oberlin’s deep roots fighting for equal rights for all. ‘The founders of this school didn’t just decide to admit women and African American students and then pat themselves on the back and say 'job well done.' No, even in those early days, folks here at Oberlin were attending anti-slavery meetings, shivering on rough wooden benches in unheated, unfinished buildings. They were joining the Equal Suffrage League and speaking out for women’s right to vote. They were leading civil rights marches and sit-ins, organizing exchange programs with historically black colleges and universities, and so much more,” she said. In the spring of 2018, about 200 people attended a candlelight vigil at Tappan Square commemorating the 50th anniversary of Dr. King’s assassination. Every June hundreds of men, women and children gather in the square for Oberlin’s Annual Juneteenth Festival to celebrate the countless contributions of local African-Americans past and current. In October, Carmen Twillie Ambar will be inaugurated as Oberlin College’s first African-American president. She took over the college’s leadership last fall. “I am excited to be a part of this journey with the Oberlin community and know that we will be, I believe, the institution that’s providing solutions to how we match this commitment to liberal arts, social justice and selectivity but also sustainability,” Ambar said in an interview published in Diverse: Issues in Higher Education. 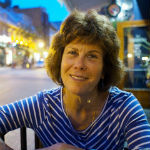 Ambar is the college’s second female president – Nancy Dye was the first. From its inception, the college was coeducational, “believing that men and women should labor together to accomplish what they considered the ‘Lord's work,’ ” according to the Oberlin Heritage Center. Oberlin resident Sarah Francis Jewett played a key role in the temperance movement. Dozens of people from Oberlin, including Kendal residents and staff, traveled to Washington D.C. in 2017 for the Women’s March following President Donald Trump’s inauguration. Two years after the famous 1969 Stonewall riots in New York City, the Oberlin Gay Liberation was approved as a student organization. Today the group is known as the Oberlin College Lambda Union. The college is consistently ranked as one of the best colleges for LGBTQ students in the country. “Each year Oberlin hosts Queerfest, a multi-part celebration of its LGBTQ students and the broader queer and trans communities outside of campus grounds. A drag ball, panel discussions, time of personal sharing, queer crafting, and workshops comprise the Queerfest, and bring together all kinds of students, LGBTQ and ally alike,” according to College Choice, which ranked Oberlin as 40th out of 50 best schools. 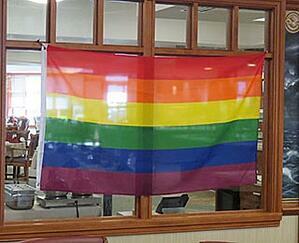 This spirit of inclusion and support for gay rights is alive and thriving at Kendal. In June, as part of LGBT Pride Month, eight residents shared their personal stories during a panel discussion attended by several hundred people. “Here at Kendal, we feel safe. 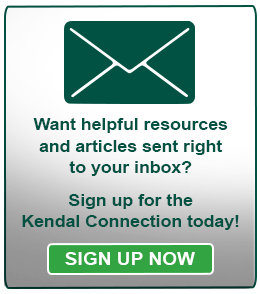 More than safe—belonging to a community where the stated policy of inclusion and the Kendal values are more than words but run true in the life of this beloved community,” said Ardith Hayes, who moved to Kendal with her wife in 2011. After the discussion, residents announced the formation of a new group - LGBTA+ (Lesbian Gay Bisexual Transgender Allies Plus), an awareness, advocacy and support group for lesbian, gay, bisexual, transgender and other gender non-conforming residents, staff and allies at Kendal at Oberlin. Tours featuring women’s rights in Oberlin will be offered during Women’s History Month in March. The center also has a museum store, with several books for sale about Oberlin including “They Stopped in Oberlin: African-American Residents & Visitors of 1800s” by William Bigglestone, and “The Town that Started the Civil Wary’ by Nat Brandt. The historical marker north of town is one of several located throughout Oberlin. For a complete list visit the Ohio History Connection website.